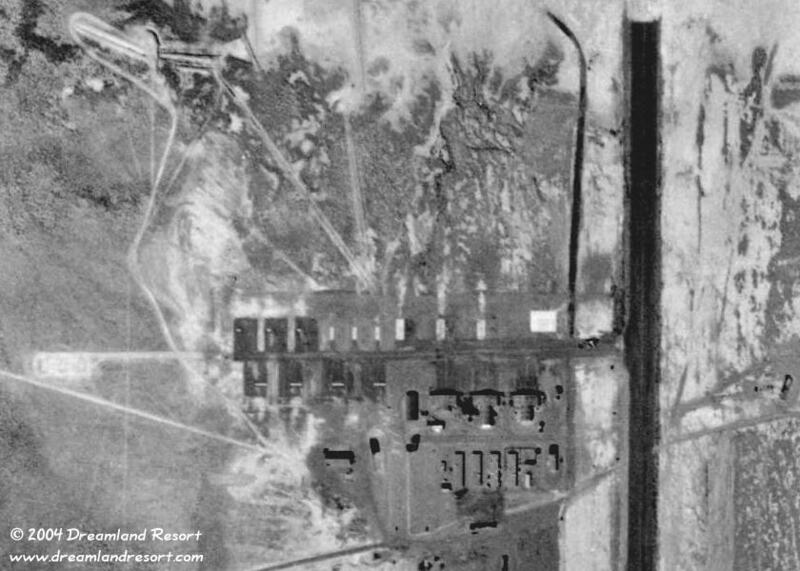 Close-up of Area 51 in 1959. The three U-2 hangars and the ramp area, today the north ramp, are clearly visible. The pads north of the hangars were used for engine tests or warm-up. The structure east of the hangars is the old control tower. There are a few support buildings south of the hangars. This area is today the base administration complex. During the U-2 program some of the buildings may have served as living quarters.